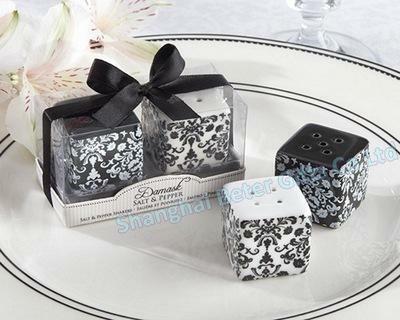 With the “Damask” Ceramic Salt and Pepper Shakers, decorating meets practicality, and that’s the best combination for wedding favors. Your guests can take this lovely salt and pepper shaker set home with them after the reception. They’re guaranteed to remember your lovely wedding at practically every meal!